My class is in the wrong category. What should I do? The category in which your class will be assigned to depends on the number you have inserted in the "Class" field when creating student accounts. For example, if you have marked your class as 1B, you will compete in the Little Monkeys category. If you have marked your class as 3A, you will compete in the Junior Monkeys category. Mixed classes should be marked as e.g. 1/2 or 3/4. 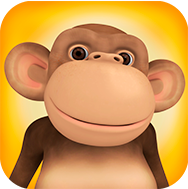 Classes with students from both 1-2 grades and 3-4 grades will be assigned to Junior Monkeys category. If you change the class name, it will be updated in the Hall of Fame during the next evening on weekdays. Why is my class not in the Hall of Fame? How can my class win prizes?